Lendingkart Technologies Pvt. 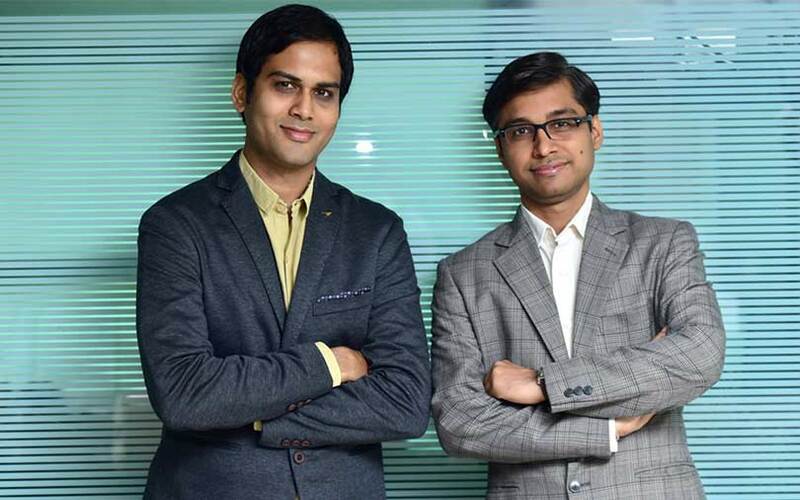 Ltd, the technology and digital marketing arm of Ahmedabad- and Bengaluru-based fintech startup Lendingkart, has raised Rs 565 crore ($87 million) in a Series C round of funding, a company statement said. The round was led by Singapore’s Fullerton Financial Holdings Pte Ltd. Existing investors Sistema Asia Fund, Bertelsmann India Investment, Mayfield India, India Quotient, and Saama Capital also participated in the round, Harshvardhan Lunia, co-founder chief executive of Lendingkart told Techcircle in an interaction. The new round takes the total funds, equity and debt, raised by Lendingkart Group to more than $173 million (Rs 1,129 crore), the press note added. The round was led by Singapore’s Fullerton Financial Holdings Pte Ltd. Existing investors Sistema Asia Fund, Bertelsmann India Investment, Mayfield India, India Quotient, and Saama Capital also participated in the round, Harshvardhan Lunia, co-founder and chief executive of Lendingkart told Techcircle in an interaction. Investment banker Credit Suisse acted as the exclusive financial adviser to Lendingkart for this transaction. “We believe that the deployment of technology to develop scalable and accessible financial services platforms, incorporating big data analytics and machine learning, will be critical to any lending business serving the underbanked and underserved customers in India,” Gan Chee Yen, CEO of Fullerton Financial Holdings, said in the statement. As part of the transaction, Lendingkart Group has also signed a memorandum of understanding with Fullerton India Capital Company, a wholly-owned subsidiary of Fullerton, regarding possible opportunities and initiatives to support their respective businesses. “This is still under discussion. It will be premature to comment on this as of now,” Lunia said. Lendingkart Technologies last raised funds in September 2017, when it secured Rs 69.02 crore ($10.74 million) in a bridge round from existing investors led by Bertelsmann India. Lendingkart Group was founded in 2014 by Lunia and Mukul Sachan. It operates two entities – Lendingkart Technologies Pvt. Ltd and Lendingkart Finance, which was formerly known as Aadri Infin Ltd.
A chartered accountant by qualification, Lunia had earlier founded Domestic Finance and Investment Pvt Ltd, a company involved in designing and arranging credit solutions for small and medium enterprises in India. He also had stints in ICICI Bank, Standard Chartered Bank and HDFC Bank. Sachan, the co-founder and chief operating officer, is an MBA from IIM Bangalore and a former scientist from ISRO. He also worked with Lebua Group as the director of finance. His other stints include Futures First Info Services Pvt. Ltd and BSNL. Lendingkart Technologies handles technology and digital marketing, while Lendingkart Finance underwrites loans for small and medium enterprises from its own books. The entity provides collateral-free working capital loans ranging from Rs 50,000 to Rs 10 lakh to small businesses. Since inception, Lendingkart Finance has evaluated 1 lakh applications, disbursed more than 20,000 loans in more than 950 cities to more than 13,000 SMEs across 23 sectors.